Picturebooks: Where to place words on the page? Evelyn Goldsmith suggests there is evidence to support the idea that “the placing of a picture to left or right, above or below the text, can affect the amount of time spent reading the text itself. 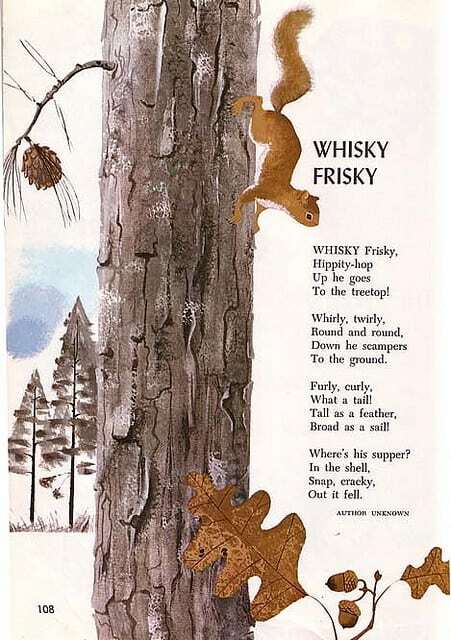 When text appears under an illustration, we tend to read the words after we have seen the illustration, because we usually look at a page from the top down. Also, we tend to look at pictures first, because of their inherently attractive nature. ‘The words’ or ‘the text’ when talking about picturebooks can also be described as ‘verbiage’. It is most common for words to be placed to the left of a picture, when the verbiage is separate from the illustration. It is equally common for a complementary layout to be organised with the visual and verbal components adjacent to one anotehr veritcally in descending ‘layers’, either with image above verbiage or verbiage above image. Verbiage placed above the pictures place the reader in an ambivalent state: Should we read the words first, or look at the picture? This ambivalence can add tension for the reader at certain parts of the book. 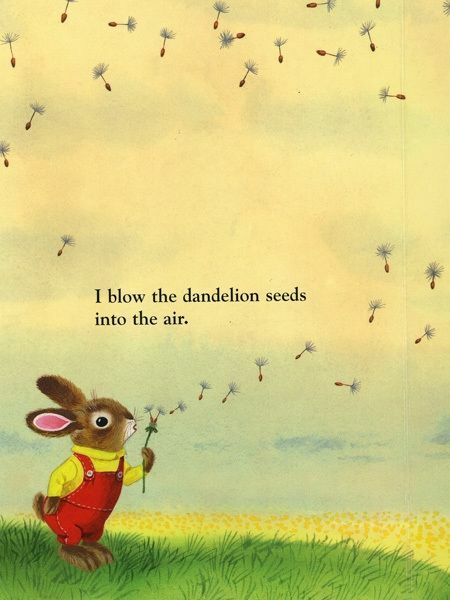 I Am A Bunny by Ole Rissom, illustrated by Richard Scarry. 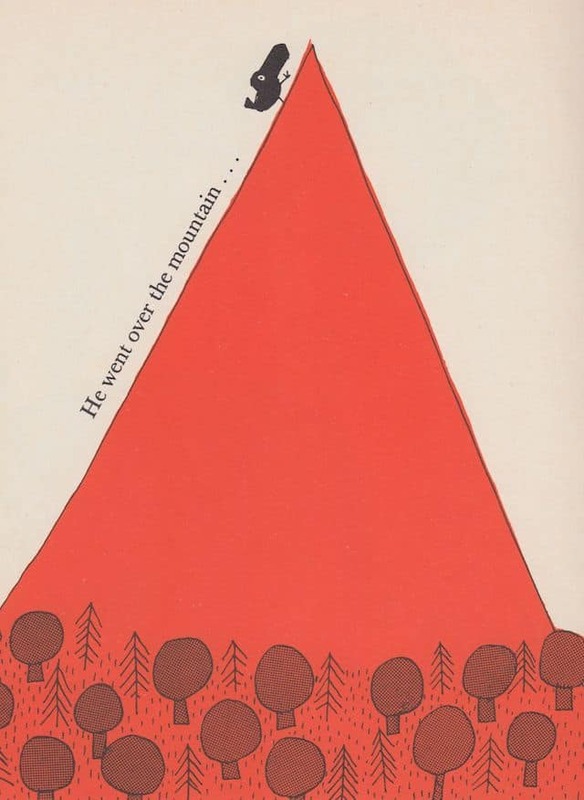 The text in the middle draws reader’s eyes to the seeds in the air. The two most common arrangements of picture/text in picturebooks: the text on the left side of a two-page spread with the picture on the right, or the picture on the top and the text on the bottom. Singing Away the Dark illustrated by Julie Morstad shows conventional (non-marked) word placement — text on the left and underneath. 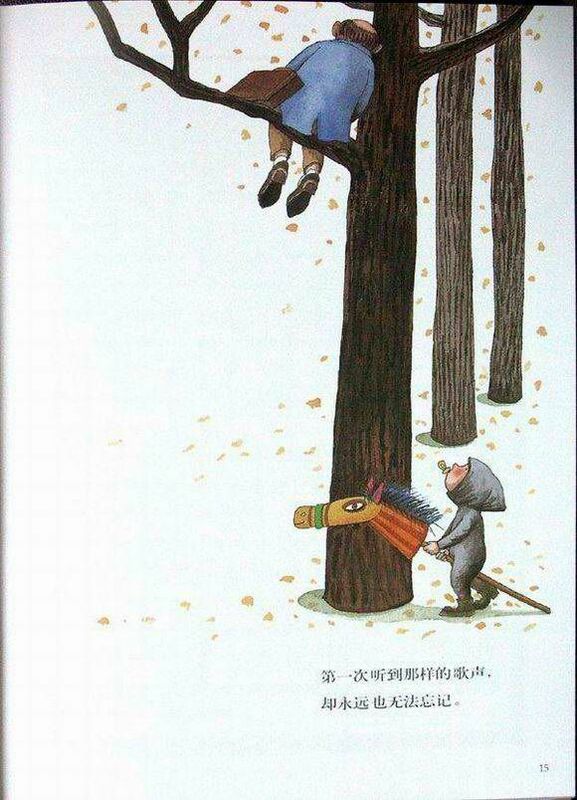 Illustration by Jimmy Liao — interesting because there was room beside the tree, but decision was made to place text below. 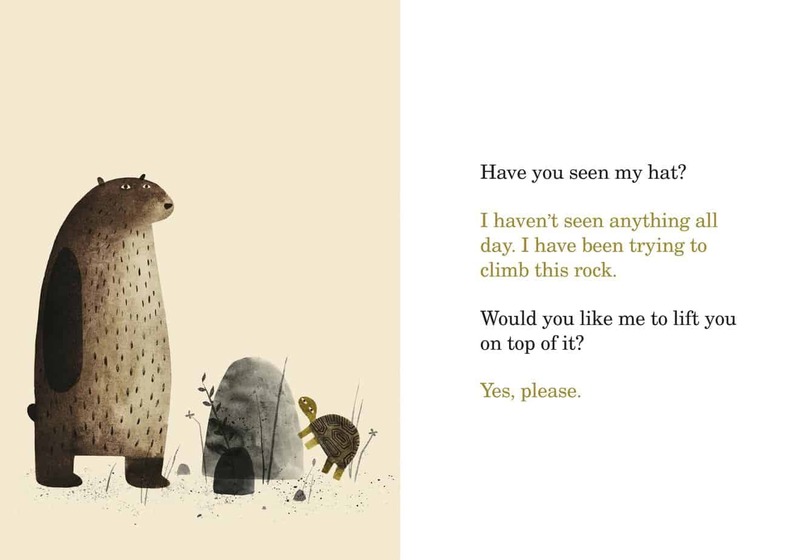 “The more frequent choice for a complementary vertical layout in a picture book is for the verbiage to come below the picture, and it is undoubtedly the image that most strongly claims our attention in that case. By contrast, where the verbiage appears above the picture it seems less easy to ignore the words.” (from Reading Visual Narratives.) There aren’t enough of such texts to draw a strong enough conclusion though, so let’s just say the dominance of the text is most closely related to how much there is of it. If the pages are covered in text, obviously the text is not going to be ignored. But more unusual arrangements are possible to create strong narrative effects. I Want My Hat Back — picture on left, text on right. This book has a non-linear narrative – soon the main character will run backwards through the book. From ‘Two Can Toucan’. 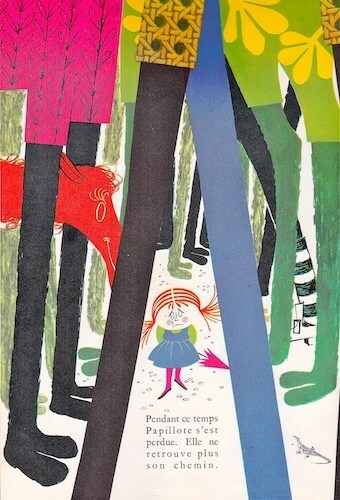 Written and illustrated by David McKee, 1964. Words can become part of the picture. Or you can put aside some white space. So far I’ve been writing about ‘complementary’ layouts. What about when the verbiage is a part of the picture itself? ‘Intratext’ is the word used to describe words on signs, food package etc. But when the narrative is placed somewhere inside the picture rather than on a separate page, or somehow demarcated from it, we might say the text and picture are ‘integrated’. Sometimes the text appears inside a speech bubble e.g. Don’t Forget The Bacon by Pat Hutchins. This technique seems to borrow from superhero comics. Sometimes non-speech items are projected e.g. onomatopoeia, bang, crash etc. Japanese manga feature a lot of onomatopoeia and mimesis, which is often retained (and not transliterated) when adapted for the English speaking market. One way of giving text more integration with the picture is by ‘decontextualising’ the picture. Most often this is when the characters appear on a white background. While white is the most common choice, the scenes from Wolves in the Walls below are part of a dark story for older children and the white background, too, has been replaced with darker textures which look like pages from an ancient text.